A beautiful smile design has the power to create a winning impression. Every individual possesses a unique smile of their own. A smile makeover is a highly technical cosmetic and dental procedure which tends to improve the colour and symmetry of lips, cheeks and teeth. A strong artistic ability and diverse background knowledge play an extensive role in designing a bright smile. A mixture of healthy teeth and gums, proper symmetry, shape, colour and lines make up for an attractive smile. 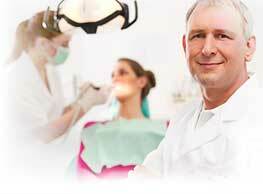 In smile designing, the dentist remodels the teeth and surrounding structures to achieve an overall pleasant look. A variety of procedures such as porcelain or ceramic veneers, tooth whitening, dental implants, orthodontic procedures, gum shaping or repositioning, restoration and cosmetic fillings, are the key ingredients in the treatment plan for smile designing. Smile Design majorly includes nine principles for acquiring an optimally functional as well as aesthetically attractive smile. Symmetry is a important parameter in defining a beautiful smile. A proper facial symmetry can be achieved by establishing the symmetry of the two front teeth along with neighboring teeth. The most attractive smile lines are the one which lies parallel to the horizontal facial axis. A smile line is referred to as one of the most important characteristics of a pleasant smile. In order to create a proper smile line, an imaginary line is drawn from the biting edges of the back teeth around to the front teeth. A significantly younger look is offered by a curved smile line. A symmetrical gum line following the upper lip makes up for an aesthetic smile. In an ideal smile, the back teeth always appear in progression. However, if the teeth towards the back are in shallow, then smile sides are seen to be dark and smile becomes narrow. In some individuals, small natural and triangular spaces are observed between the tooth tips. These are referred to as embrasures. Tiny embrasure gaps at the front and large gaps at the back teeth accomplishes a natural and youthful looking smile. The starting step for a smile design procedure is establishing a golden proportion. The golden proportion can be described as the amount of tooth surface that appears at the front and provides a balanced smile make-over. An optimally proportionate tooth size is an important factor while creating an ideal smile. For example, for the two front teeth, the ideal width to height ratio is 0.7:1. The smile designing also includes changing the tooth shade. A variety of colour and translucency options are available to restore the natural smile appearance. Invisible or invasalign braces can be used to rectify crooked teeth. A much faster remedy can be obtained with porcelain veneers. In this case, it is important to prepare teeth for fixing veneers. Appearance can be significantly improved by repairing chipped or fractured teeth. Most of the smile makeover techniques involve the major step of replacing missing teeth. Various methods are employed to fill the missing gaps between the teeth. Gummy smile mainly results when the gums extend over the gum line. The tooth colour can be greatly enhanced. Bad oral habits can cause poor staining of teeth. It can be resolved by procedures like prophyflex whitening and teeth whitening.